NEW YORK— According to a story in Newsday, New Hyde Park-based Northwell Health is working on a pilot program with CVS Health to increase access to HIV testing and promote prevention efforts in Long Island and Queens communities where the virus is highly prevalent. Clinicians and outreach workers from Northwell’s Center for AIDS Research and Treatment (CART) at North Shore University Hospital in Manhasset are partnering with CVS Health to provide free, onsite HIV testing via Northwell’s mobile health van parked at select CVS Pharmacy locations throughout the area. The program will roll out at the CVS Pharmacy in West Hempstead and is slated to start the third week of December. The mobile health van will visit other CVS Pharmacy locations during the first quarter of 2019. As part of prevention efforts, CART staff will provide educational training to CVS staff and pharmacists about various aspects of HIV testing and screening. 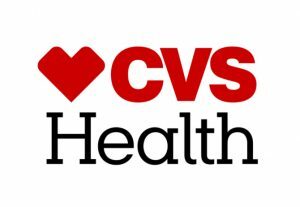 In addition to this pilot program, CVS Health has donated 500 HIV in-home test kits, which allow people to perform an oral swab privately. Northwell plans to distribute the home testing kits at venues such as nightclubs to individuals who may be at risk for the virus and are reluctant to walk into a health van to be tested. This initiative is being announced ahead of the 30th anniversary of World AIDS Day on Dec. 1, with the goal of providing health resources and education for people living in high-risk communities.